Introducing IDW's Greatest Hits! One-dollar versions of key issues and launch-points from your favorite IDW books! 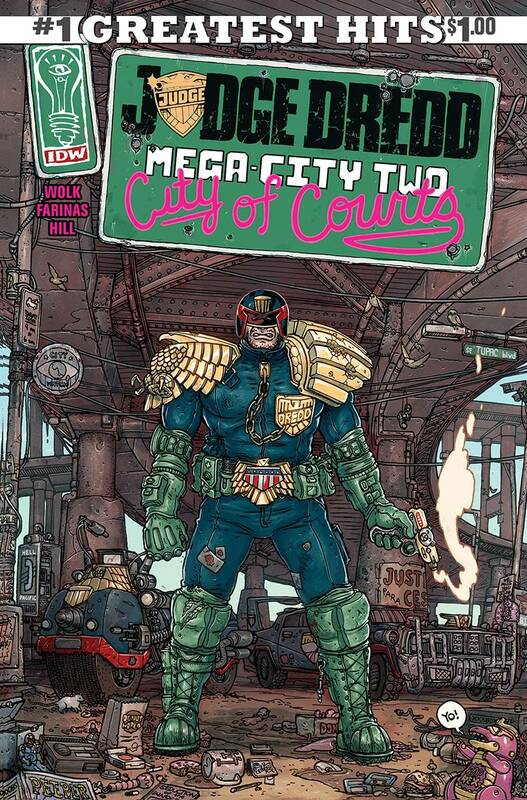 This month, it's Judge Dredd: Mega-City Two #1! Revisit Judge Dredd's trip out West! Dredd is sent packing out to Mega-City Two, in what was once known as Los Angeles, where he soon discovers that they do things a little differently there?